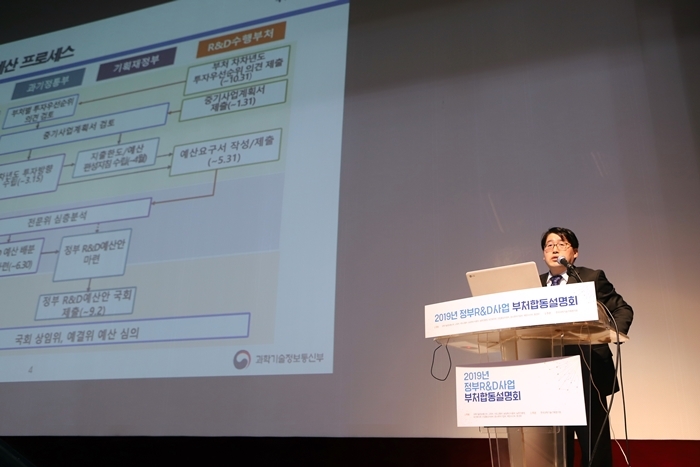 A Joint Briefing of National R&D Programs by Government Ministries was held in 2 regions beginning on January 9th (Wed) to 17th (Thur) hosted by KISTEP and organized by 9 central administrative agencies that conduct R&D programs, including the Ministry of Science and ICT (MSIT), the Ministry of Trade, Industry and Energy (MOTIE), and the Ministry of SMEs and Startups (MSS). 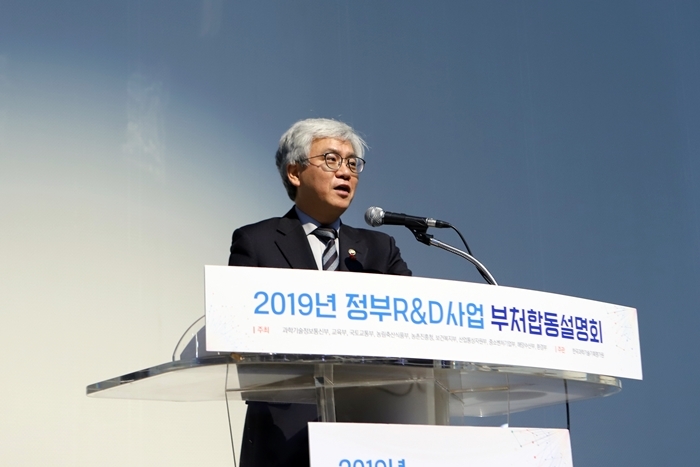 The briefing is designed to share the direction of investment of the national R&D budget (20.5 trillion won) for 2019, which was finalized in the National Assembly in December last year, and the programs promotion plan by each ministry with researchers who are interested in the information. 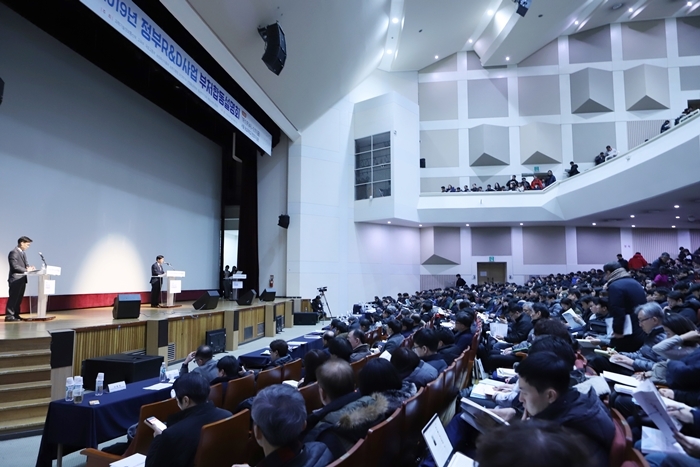 On the first day of the briefing (January 9th and 15th), the MSIT (S&T and Innovation Office) presented main features of national R&D budget for 2019 and details, schedule and others of major R&D programs were presented by ministries in the order of the MOTIE, the MSS and the Ministry of Environment (ME). 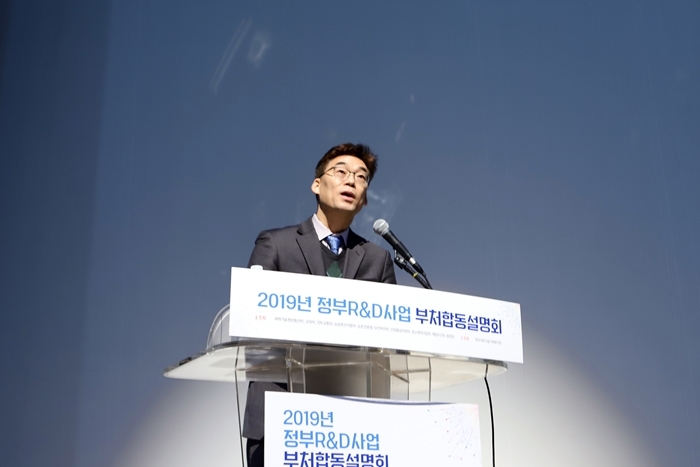 ※ (metropolitan area) '19.1.9 (Wed) to 1.11 (Fri), Rev Han Kyung-Chik Memorial Hall of Soongsil University in Seoul, (mid-region) '19.1.15 (Tue) to 1.17 (Thur), Science Hall of National Science Museum in Daejeon. The presentations were continued by the MSIT, the Ministry of Land, Infrastructure and Transport (MOLIT), and the Ministry of Oceans and Fisheries (MOF) on the second day (January 10th and 16th), and on the third day (July 11th and 17th) was followed by the Ministry of Agriculture, Food and Rural Affairs (MAFRA), Rural Development Administration (RDA), the Ministry of Health and Welfare (MOHW), and the Ministry of Education (MOE). 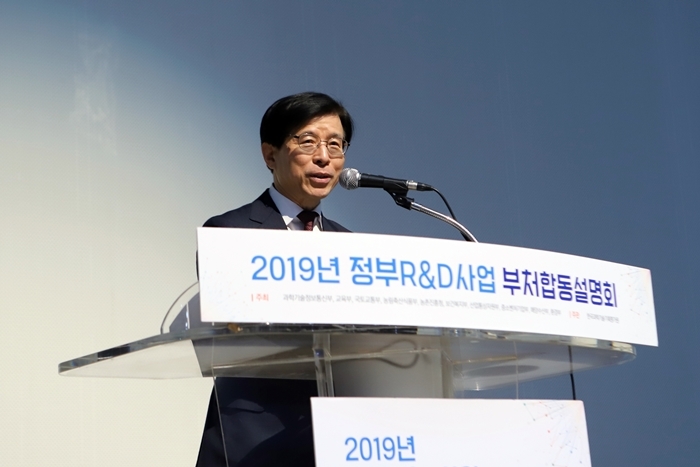 In addition, research and management institutes of each ministry provided customized consulting to researchers at separate counseling booths during the event.